This quiet stretch of beach overlooking Koh Samet offers, mangroves, turtles and coastal parks. 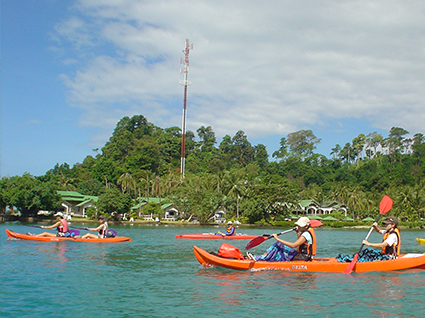 There are several great beach resort here serving as a base for multi activity programs with a ocean flavor. Mangrove studies and visit to turtle conservancy projects are popular as is snorkeling on inshore reefs. Residential programs are possible, beach resort based with a ocean focus. DOE and IYAA programs use this as a starting point for Kayak expeditions.